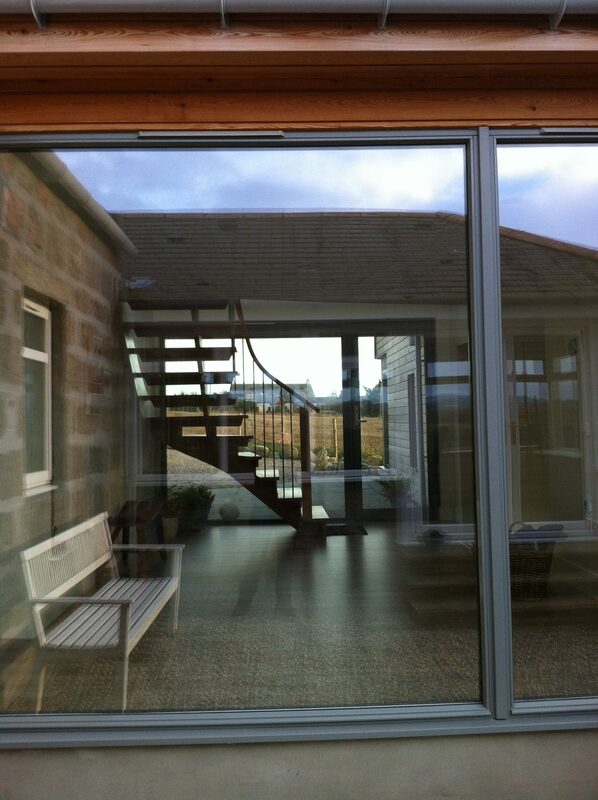 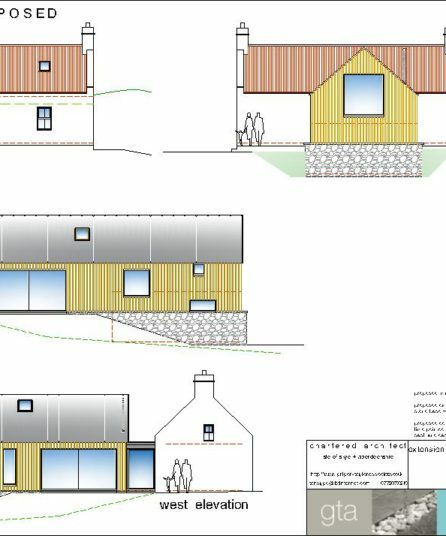 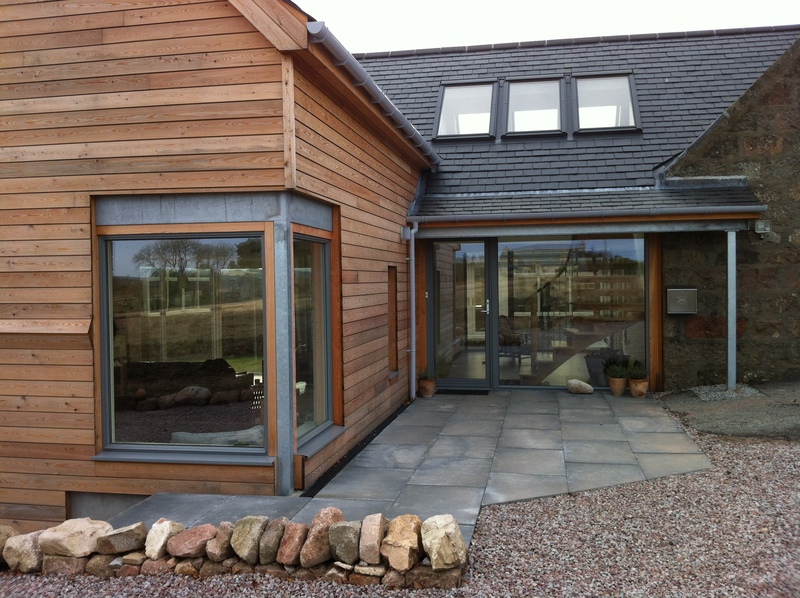 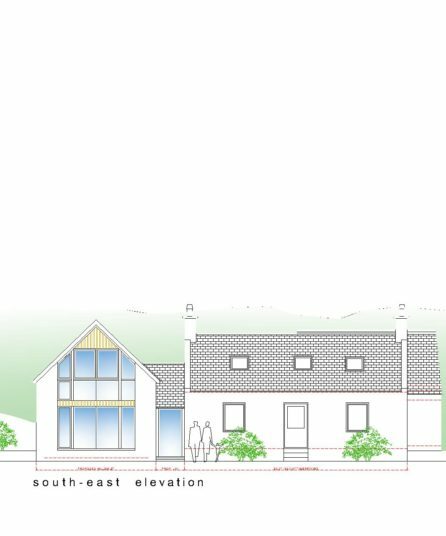 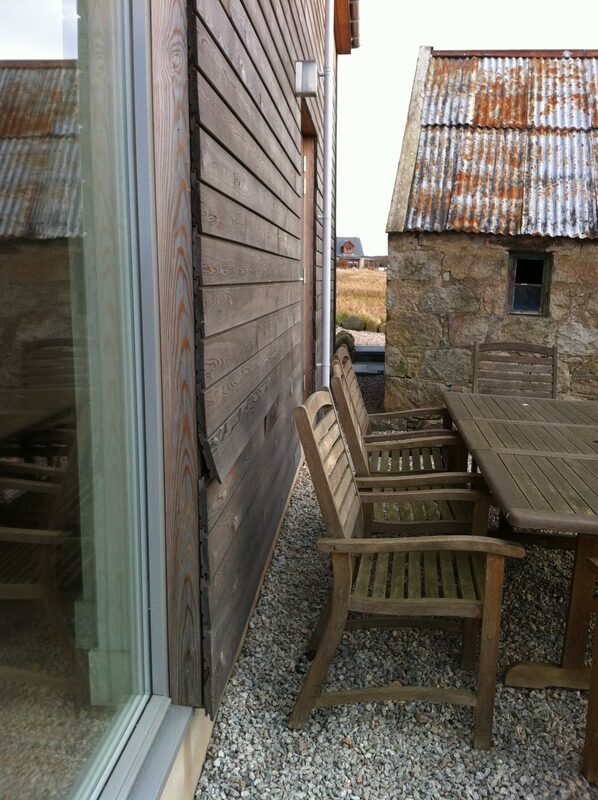 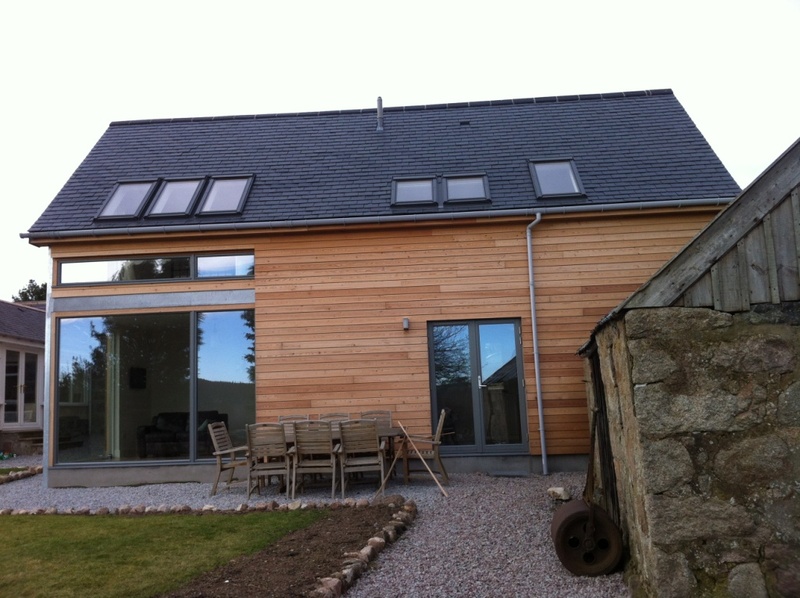 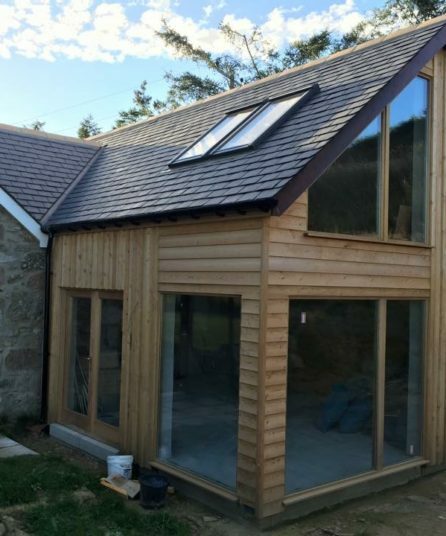 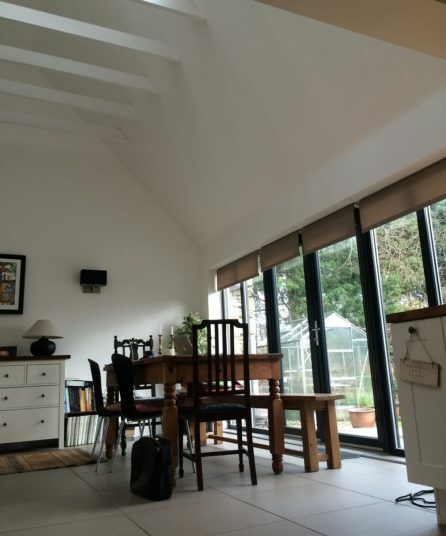 deeview cottage was both a renovation of the existing cottage and sizeable contemporary extension . 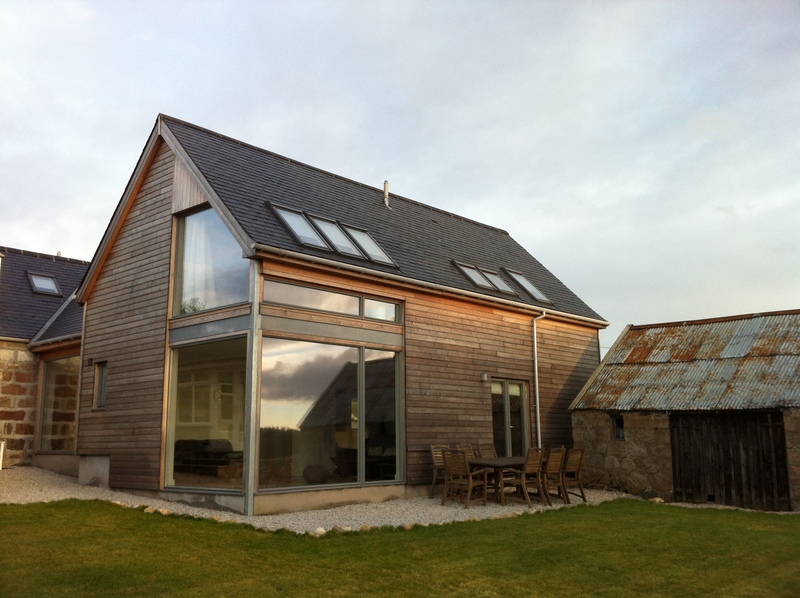 Use of a glazed link creates a respectful separation between old and new, and a modern contrasting approach but using local materials creates a bold new building which still fits well into its setting. 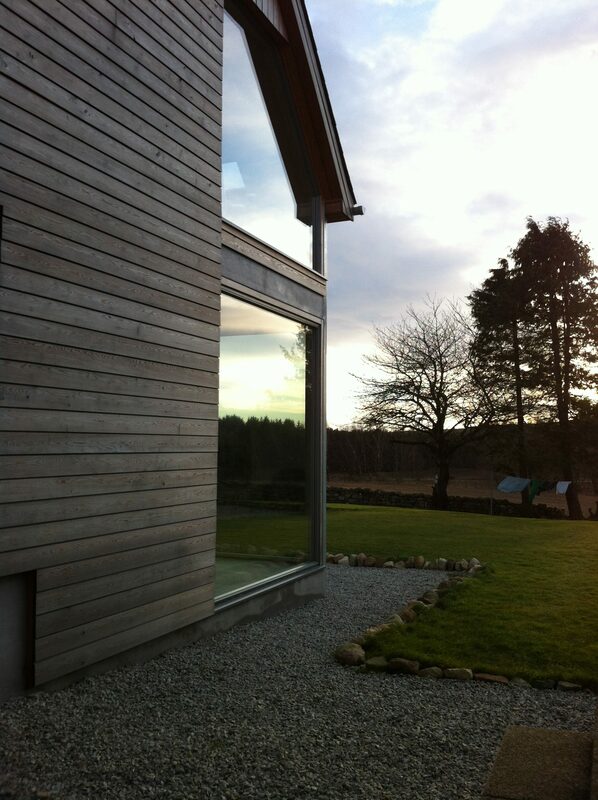 The glazed corner opens to the views down the glen to the river dee.